April was designated “Financial Literacy Month” by the U.S. Senate in March of 2004. First conceived by the National Endowment for Financial Education in 2000 as Financial Literacy Day, over the next few years, it was recognized by the House of Representatives and President George W. Bush, it was expanded to include the entire month of April. More importantly, in our opinion, it was expanded to include all age groups. Financial Literacy has gone from bad to worse in America. Most high school graduates could not balance a checkbook. Remember the old joke, “How can I be out of money – I still have checks left?” Great humor is usually based in truth. The Van Wie Financial Hour radio program is devoted to the furtherance of financial literacy. Every week we present current events and news to the audience, but we also explain concepts and practices in personal financial topics. We like to believe that our small contribution to literacy makes a difference. Florida now ranks 23rd best among the 50 states. We are publishing this blog on April 15th, the due date for individual tax return filing) as a reminder of the importance of learning more about personal finance. Start with your 2018 Tax Return – examine it and see if you can understand the line items. How the line items work together determines what you owe (or the refund you will receive). Does it make sense to you? Most people would rather watch paint dry (or, possibly, get a root canal) than to make a critical assessment of their own Income Tax Returns. But what could be more important to your financial health than to understand your own tax situation? See if you can grasp the concepts of “Above-the-Line Deductions,” and “Below-the-Line Deductions,” as well as Itemized Deductions or Standard Deductions. Understanding how these work may save you actual cash by reducing your taxes. Remember that the best way to make money is to save it. If you use a professional tax preparer, feel free to ask questions of him or her. Start with the qualifications of the person assisting you; is your preparer a Certified Public Account (CPA), an Enrolled Agent, or a lower-level tax preparer? Ask him or her about any line items that leave you confused. Most preparers will include a page at the end of your tax return comparing your 2018 tax data to the past year or two of returns. We had a big change in tax law beginning in 2018. How did it affect you? What could you do to positively affect your 2019 tax burden? Knowing the answers to these questions can only improve your ability to minimize your tax liability. 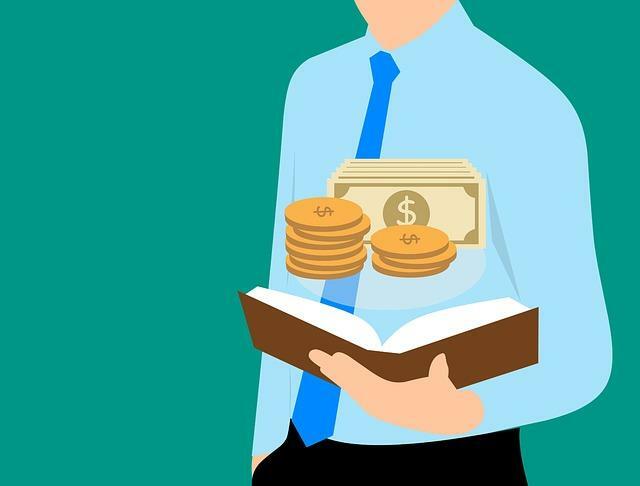 With the Internet, financial talk radio, 24/7 cable news, and the myriad other sources of financial information, there is no longer any excuse for remaining financially illiterate. You never know for sure, but just maybe you will actually enjoy learning more about personal finance.